Metallica performed the “Hardwired…To Self-Destruct” track, “Dream No More”, at the second of two shows at the Hartwall Arena in Helsinki, Finland on May 11, and the band are sharing professional footage from the event. The show marked the final date of the group’s European tour in support of their tenth album, which debuted at No. 1 on the US Billboard 200 upon its late 2016 release to deliver the group their sixth US chart-topper. On May 23, Metallica – in cooperation with Feeding America – are encouraging fans at home across the United States to volunteer for a day at the community food banks the band supported during last summer's North American tour. Each registered volunteer will receive a special All Within My Hands t-shirt commemorating Metallica's first united day of service. Please note that space is limited and fans must register; unfortunately walk-ins will not be accepted. For those who do not live near one of the food banks listed on the site or are unavailable on this day, the band encourage visiting Feeding America to find a local food bank in their community. For more information and a list of participating food banks, visit metallica.com and allwithinmyhands.org. 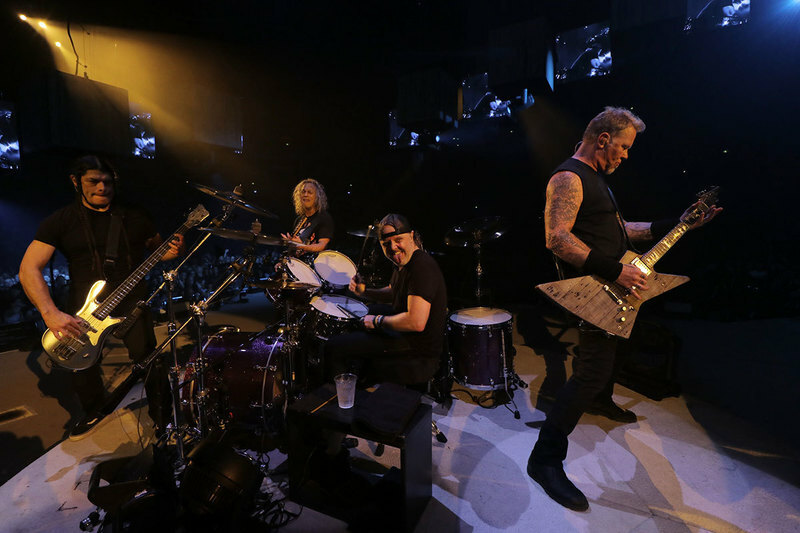 Following a summer break, Metallica will begin a fall arena tour of North America in Madison, WI on September 2.